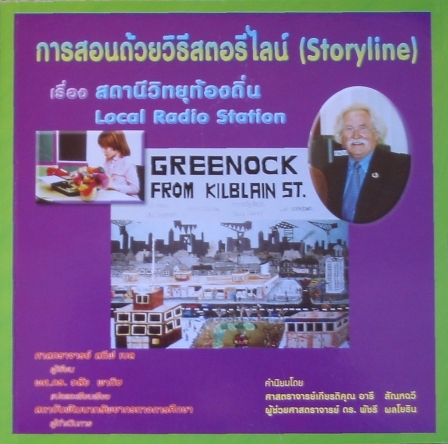 A translation of the Local Radio Station book into the Thai language has been published by Chulalongkorn University Press ISBN 974-13-3327-7 to coincide with the recent visit of Storyline Scotland tutors to Bangkok. The publication was organised by Mr Noppadon Hor-Thong, Director of the Institute for Education Resources Development and the text was translated by Assoc. Prof. Walai Panich of Chulalongkorn University who also added some chapters to link the text with her own experience of Storyline and to the work of her students in topic planning.